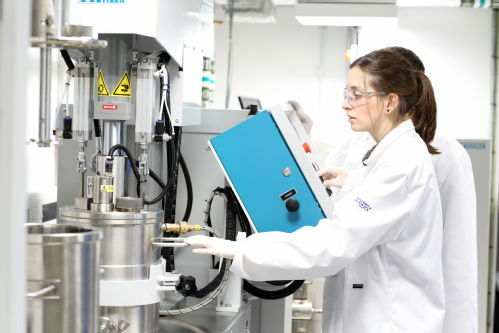 WMG, at the University of Warwick has joined a £1.3 million project with Connected Energy, a pioneer in site-integrated energy storage solutions, Jaguar Land Rover, WMG, and Videre Global to establish key components of a world leading second life battery value chain. The project is co-funded by an Innovate UK grant, awarded in October. Connected Energy is based in Newcastle upon Tyne with a technical centre near Norwich. Its British designed E-STOR energy storage technology will be adapted to integrate recycled Jaguar Land Rover batteries, with other work to be undertaken by WMG on the use of varied second life battery modules. This innovative approach will further increase Connected Energy's knowledge base and performance of their E-STOR systems. Reuse of electric vehicle batteries is compelling circular economy innovation. Second life enables greater exploitation of the carbon and energy embedded in the manufacturing of the batteries, adding to the sustainability credentials of electric vehicles as well as the electricity system. Using second life batteries also reduces system costs - making energy storage systems financially viable for a wider range of end users. WMG at the University of Warwick is the academic research partner to the project. It is a department of the University of Warwick, and has a considerable reputation for energy storage research. With the support of Videre Global the consortium aims to assess the viability of developing world applications, offering lower cost and high reliability second life battery storage systems. Videre Global is a specialist in smart grid systems and energy solutions in the developing world. About Connected Energy: Connected Energy is an engineering led innovator in energy storage. Its technologies are rapidly changing the way intensive energy users can access the benefits of low-cost, on-site solutions. Connected Energy supplies E-STOR - the world’s only commercially available stationary energy storage system that uses electric vehicle battery packs after they have completed their useful lives on-board vehicles. The system is modular and scalable as well as straight forward to install and operate. E-STOR enables energy intensive clients to flexibly control and reduce their energy costs, and develop new revenue streams by providing balancing services to National Grid - regarded as critical for the UK power system to provide a secure, sustainable and affordable energy future. The company provides a range of solutions from system feasibility assessments and system design, through to standard and bespoke system supply, equipment installation, maintenance and operation. A team of specialists provide end-to-end expert support to help clients realise value: storing excess energy to release it when needed; drawing on stored energy to optimise energy strategies; using the stored energy at times of peak demand or when tariffs are high. Connected Energy, operating in the UK and Europe, is wholly owned by Future Transport Systems Limited a UK systems integrator and developer of e-mobility and energy storage hardware and software. About Jaguar Land Rover: Jaguar Land Rover is the UK’s largest automotive manufacturer, built around two iconic British car brands: Land Rover, the world’s leading manufacturer of premium all-wheel-drive vehicles; and Jaguar, one of the world’s premier luxury sports saloon and sports car marques. We employ almost 42,000 people globally and support around 240,000 more through our dealerships, suppliers and local businesses. Manufacturing is centred in the UK, with additional plants in China, Brazil, India and Slovakia. At Jaguar Land Rover, we are driven by a desire to deliver class-leading vehicles, which will provide experiences our customers will love, for life. Our products are in demand around the globe. In 2016 Jaguar Land Rover sold more than 583,000 vehicles in 136 countries, with more than 80 per cent of our vehicles produced in the UK being sold abroad. Every year WMG provides education and training to schoolchildren through to senior executives. There is a growing part-time undergraduate programme for apprentices, as well as full-time undergraduates. The postgraduate programmes have over 2,000 students, in the UK and through centres in China, India, Thailand, South Africa and Malaysia. About Videre Global: Videre Global specialises in creating renewable energy and lighting solutions. Based in the North East of England our micro-grid solutions are radically challenging the way the world accesses energy.